from completed build Black and white RGB build. “THE DANK TANK" a 4 pin Asus aura RGB showcase! Excellent case, incredible value! And the customer service is top notch. Had a minor scratch on the piece of glass below the film on arrival. Nothing too big but they sent me a replacement right away. This is a big deal to me considering how adamant I was about keeping the glass scratch free, good to see a company standing by its product. RMA was fast and simple in my opinion 5 stars! I might as well call it God's gift for top gamers as this is the most beautiful, faultless, unique and high quality piece of craftsmanship I have laid eyes on, PERIOD. Taking it apart is a piece of cake, superb cable management, all glass and metal construction and filters everywhere. I'm in love. The case looks absolutely stunning and provides lots of good cable management options. However, as I had to install 2 SSD and 1 HDD, finding a good spot to install them AND route cables through was a bit tricky. Simple effective design. 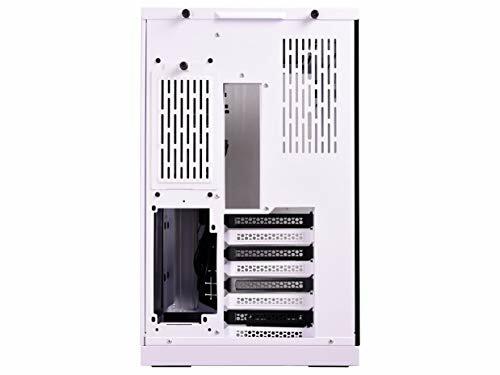 The deciding factor for me was that this relatively compact mid tower case still has 8 PCIe slots to allow for a quad GPU. Fantastic case in terms of cable management, easy peasy. Very well built, this feels like it's gonna last me the next 5 years +. The only reason I can see me changing this is if the glass gets damaged and cant be replaced. 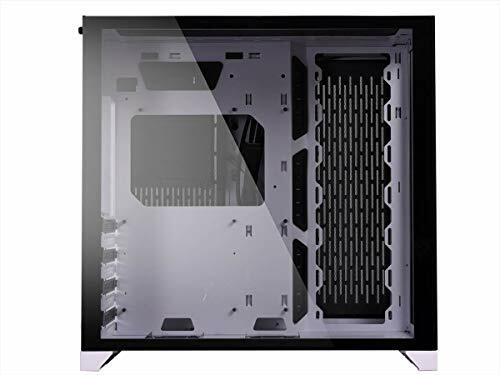 It can be air cooled B U T you should not buy this case for that reason. I am only using air temporarily, I plan to move to water. So in terms of air cooling, it's not great. 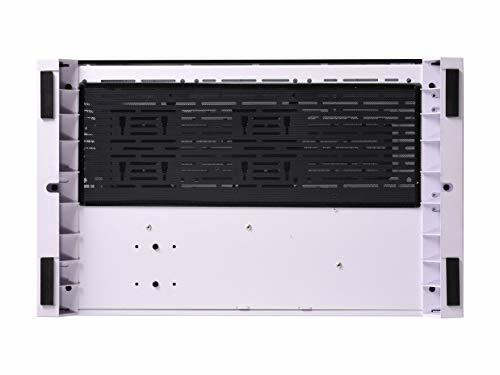 Yes there are plenty of places to put fans, which I should add is only good if your motherboard has enough fan headers for that many fans!! I do also like the way the cables come out from under the motherboard. Nice touch especially if you are going to spend some money on custom cable sleeves etc (which I may do later). Well worth the money if you plan to go water at some point. AMAZING case. The panels are beautiful, just make sure you remove the plastic on the inside (which can be a little hard to get to; it's underneath the bezels). 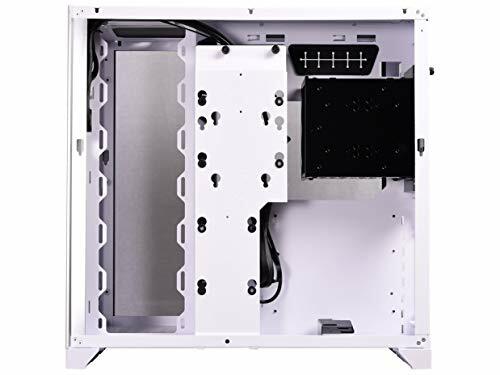 The PSU being in the rear is great, but it makes cable management a pain, so do the management as you go or else you're going to have a lot of trouble later on. This is the best case I've ever had the opportunity to work with. I love it. 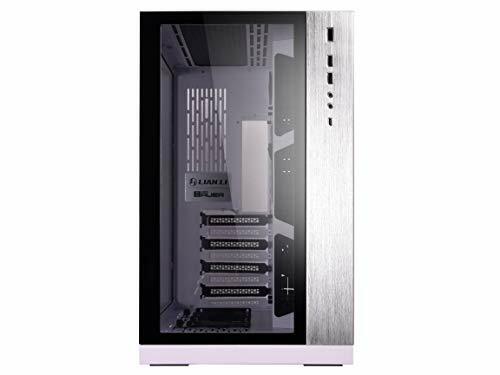 I really want to buy one for myself and transfer one of my watercooled builds into it. I highly recommend it! Glass panels really give a great view of the insides. Definitely a case for those who want to show off their components. RGB lights really pop off the white interior. Everything will glow the same colors as your fans / other lighting components. Plenty of room for custom loops. I've only got a single radiator but I've seen people doing 2 and 3 radiator setups in this case. Thermals seem decent despite the interesting cooling layout. Side chamber is roomy and you can hide a lot of mess back there. The side radiator mount really should have more room. You won't be able to squeeze many 360 sized radiators in there because of clearance issues. I was able to barely get my EK CoolStream SE 360 to fit. The side radiator mount also only seems to allow the ports to be at the top. There isn't any cutaway at the bottom for the ports. I would have liked to see the top cable management hole moved back a bit and maybe fitting two up there. No rubber gromets on some of the cable management holes (if they even are cable management?). The cable management to side chamber could have used more thought overall. Some velcro strap tie downs in the side chamber would go a long way for helping tidy up cables back there. A Premium case that deserved to win Gamer's Nexus's Best Case of the Year award. Great looks and easy to work with. This is such an elegant case. It's beautiful and very unique. My experience has been great, however, being such an unorthodox case, I did run into some inconveniences. My biggest difficulty was cable management. For a case like this, the cable management is actually pretty good, but it can still be difficult to organize, especially with all the thin fan cables. Which leads me to my second problem; having so many fans in a case like this, means that you would need some kind of fan hub. This isn't really that big of a problem, it just means you have to spend some extra money on something that you might not want to get. And my last problem is that temperatures aren't the best. They are still pretty good, on idle I'm usually between 30 to 40 degrees Celcius, but in a regular case, cooling would obviously be better. In my overall opinion, these are the sacrifices that you would have to make for such a unique case. I would recommend it, but you would just have to keep in mind, that it can be difficult to work with at times.